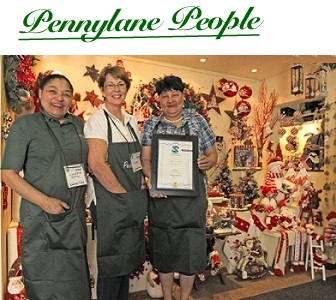 Pennylane is an established wholesaler of Christmas, Easter, Silk and Home décor items. We import a wide range of décor items for resale to various companies all across Southern Africa. We are situated in Durban, where we have a showroom and a warehouse. There is also a showroom in Parktown North, Johannesburg. We are open 6 days a week, Monday to Friday, 8am to4:30pm and 8am to 12:30pm on Saturdays. We close over the Christmas period for 2 weeks.We source our products from suppliers all over the world, from the Middle East, to the Far East , Europe and America. We exhibit at the SARCDA trade show at Gallagher estate, Midrand, Johannesburg . Any retailer may purchase at this trade show, they must merely apply. This show happens twice a year, once in April/March (for Easter) and again in August (for Christmas). However our showrooms are open 6 days a week and you may visit us at any time during our trading hours. If you are unable to come in, please do not hesitate to phone us and we can make an order over the phone or e-mail if you prefer.